Built for any job, Cat® agricultural equipment is your experienced farmhand ready to tackle the toughest tasks. Gregory Poole offers a wide range of Cat equipment for the farming and agricultural industry, from wheel loaders and backhoes to skid steer loaders and excavators. 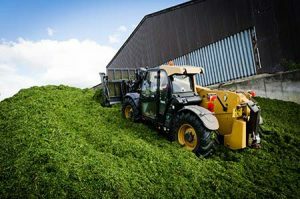 Plus, with over 35 different categories of work tool attachments, you can easily turn any Cat machine into a multi-purpose tool, allowing you to cut costs while increasing efficiency. Whether you’re digging, trenching, back-filling or handling material, a Cat backhoe loader will meet your needs. Whatever the task, Cat equipment sets the industry standard with powerful, comfortable, versatile machines designed to do more work faster. Cat compact track loaders and multi terrain loaders give you all the traction and flotation benefits of tracks. Use them in rough terrain or any other application in which conventional equipment won’t do. A choice of undercarriages lets you choose the machine that best fits your application. Cat excavators range in size from highly portable mini units to large workhorses built for mining and forestry use. Whichever model you require, you can count on a Cat machine to deliver increased power, more productivity, greater reach and a wide range of other working advantages. Contact Gregory Poole directly for assistance choosing the right model for your needs. Cat skid steer loaders deliver exceptional performance, versatility, ease of operation, serviceability and client support. A wide range of work tools are machine matched to Cat skid steer loaders to meet all your needs. 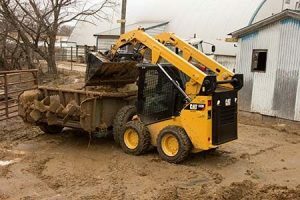 Cat wheel loaders can be found on farms and other job sites in all regions of the world, where they are counted on to make material handling and loading jobs safer, faster, more precise and profitable. Cat wheel loaders set the standard for reliability, productivity, fuel efficiency, versatility and operator comfort. Select from a wide variety of machines in every size class, from compact to large units. Throughout North Carolina, Cat equipment is helping farmers and others in the agricultural industry work more effectively, maintaining optimal productivity all year round. The company’s machines apply proven technologies systematically and strategically to meet a client’s high expectations for power and fuel efficiency. Deep system integration and advanced engine technology result in reduced emissions and improved fuel economy without interrupting machine performance. Efficient performance is only one part of what makes Cat the professional’s choice for ag and farming equipment. Cat machines feature sophisticated, intuitive controls and interior cabins built for all-day comfort. During the busy harvest and planting seasons, that’s an important advantage that will help you get the job done faster. Modular construction and accessible components simplify service and repairs, helping you maximize uptime and reduce your maintenance expenses. A wide range of available work tools make your Cat machine even more versatile; choose from augers, blades, buckets and more. Sophisticated coupling systems make changing out tools on the fly fast and easy, giving you the functionality of several machines in one convenient unit. No matter what your job is, Gregory Poole can help you choose the combination of equipment and accessories that best matches your needs. Visit any of our locations or contact a sales representative by phone or email to get started today.